Righteousness. November 2000. Watercolor and airbrush. The wisdom that comes from heaven is first of all pure; then peace-loving, considerate, submissive, full of mercy and good fruit, impartial and sincere. 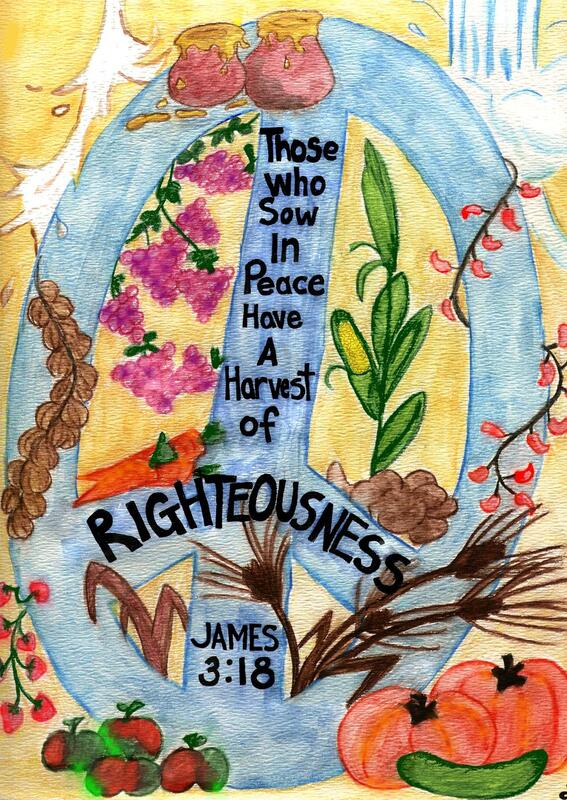 Peacemakers who sow in peace raise a harvest of righteousness.